Damn this is brutal. I only just got into this community and started editing videos for it, and most people here are pretty great. Sadly I only started watching when AMV Hell 7 hit and Bonkondahed introduced me (he was not aware that I had never heard of the thing and was really surprised). I immediately fell in love with it and decided I wanted to try my hand. I made a few clips for Electric Boogaloo 2, the minis challenges, and actually ended up getting the "Zarx's Choice Award" on the comedy challenge, which surprised me. I'm really sad to see this go because it's been such a great exercise in editing for me and the community has actually been rather helpful critics, as well as nice comic relief. I would totally be one of the people to try and stay and keep stuff coming out in new threads and stuff, but since everyone seems to agree that it's dead and they don't want any part of the upkeep, it's quite disappointing and I don't know if I would be able to do it. Well, Zarxrax...you and the rest of the AMV Hell regulars were the folks keeping me sane during my very, VERY hectic high school and early college years. I'm very happy to have contributed to AMV Hell 5 and Minis S2, given I'd been watching since AMV Hell 3. To hear you say that you've outgrown anime is heartbreaking. That's like Santa Claus saying Christmas isn't all that it's cracked up to be. I mean, unlike Santa you're a real person with a life; personal and professional obligations. So changing was for the better, and begging you to stick around and keep AMV Hell afloat would just be selfish. Through the good and bad though, Zarx...this community would have been lacking without you. And post-AMV Hell it will continue to be. I can only wish you good luck with your future endeavors. <sigh> Stop pouring your hearts out like you’re at a wake. You people make me want to regurgitate. If you’re tired, Zarxrax, (and I know you have been, long before this thread was made) then leave. Take a break. Do whatever you want, man. You’ve done your bit, so long and thanks for all the corn. AMV Hell is not one man, nor will it end with one man’s retirement; it’s a community effort and it ends when we all stop contributing to it. I, for one, will continue to make clips of Chinese cartoons spliced with ill-fitting music for as long as I get a dopamine hit out of it, and I'll share them exclusively with the AMV Hell "brand". So take some solace knowing that, you miserable bastards. I recognise Lawrayliet as the new head of AMV Hell. This threads needs some fun. You know who is fun? MADEVIL is a fun guy, unlike the scrooge Lawrayliet. We have seen time and time again that Law is a trigger happy mod that will crash all the fun. Don't you want a leader that knows how to get down with the bros? I do plan to keep this website up for as long as possible, or as long as people hang around. Several months ago, I was able to move back to a much cheaper hosting plan due to continually decreasing site traffic, so financing the site is not really a problem anymore. You guys read this part, right? The forums aren't going anywhere soon. 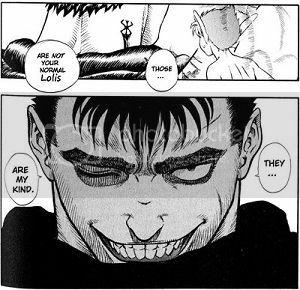 ^Most of these people can't read, loli. Of course, as I've mentioned earlier, a lot of them also don't make or watch videos often, so I don't see why they're that upset. Lies. That black guy killed the protagonist just for blowing smoke in his face after said guy was threatening some kid for no reason. Not to mention the part about that guy trying to steal a car over losing a basketball match. If anything, it gives the message that you should let black people walk all over you or else they'll shoot you or that people of different races actually are dangerous and should be avoided at all costs if you value your life. Last edited by Haar; 05-06-2015 at 07:27 AM. It's over, lads. Go away, shoo. Having Mad as leader would basically be having someone like Zarx in terms of no longer giving a ****, and without the skill to back it up. With Law, at least you can somewhat argue that he does a tad better than Mad with his videos, and he turns up as frequently as Zarx does. A better match. I, for one, will continue to make clips of Chinese cartoons spliced with ill-fitting music for as long as I get a dopamine hit out of it, and I'll share them exclusively with the AMV Hell "brand". none of you spineless bottomfeeders are suited to take over. Thanks to Zarx and everything he's done. I know from times past he's been ready to end things quite a while back, he's continued this far past that point largely for us. AMV Hell won't be the same without him. I messaged him about clarification on something though. Is this the absolute end of AMV Hell as a series for an indefinite time, or your personal retirement? He responded "This announcement is my personal withdraw." What does that mean? Well, AMV Hell has always been owned by two men, Zarx and SSG. SSG has been the primary one to continue initiating recent AMV Hells, with Zarx in the past probably reluctantly helping inevitably for qualities sake. Basically, AMV Hell has lost its main figure head and leader, but it hasn't necessarily died as everyone has been lamenting. Concerning AMV Hell installments, we're back to where we always were, unsure if there will be a new one, or if the last was truly the final. What has died indefinitely, is Zarx's side projects, AMV Minis, Challenges, etc, which were what largely kept us all occupied and coming back week after week. That's the void that will need to be filled, and it can be, so long as people support it. If no one else, I'll likely make a thread soon enough gauging the interest for such a thing. 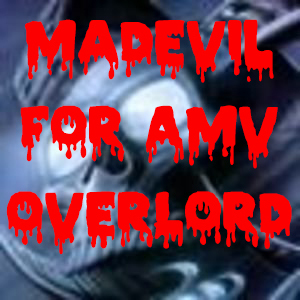 Thread title= The Future of AMV Hell. The age of Law is coming. Reason why everyone is voting Law and not Chaz? law has some decent amvs, a project and mod wizardry under his belt. chaz has some decent amvs, a massive youtube kiddies sourced ego and respect from wannabee editors, because of his overblown critisism mainly based on watching amvs via freeze frames. As long as the forum is around I'll be around posting stuffs and making those amv thingies.